We present an interaction design study of several non-overlapping direct-touch interaction widgets, postures, and bi-manual techniques to support the needs of scientists who are exploring a dataset. 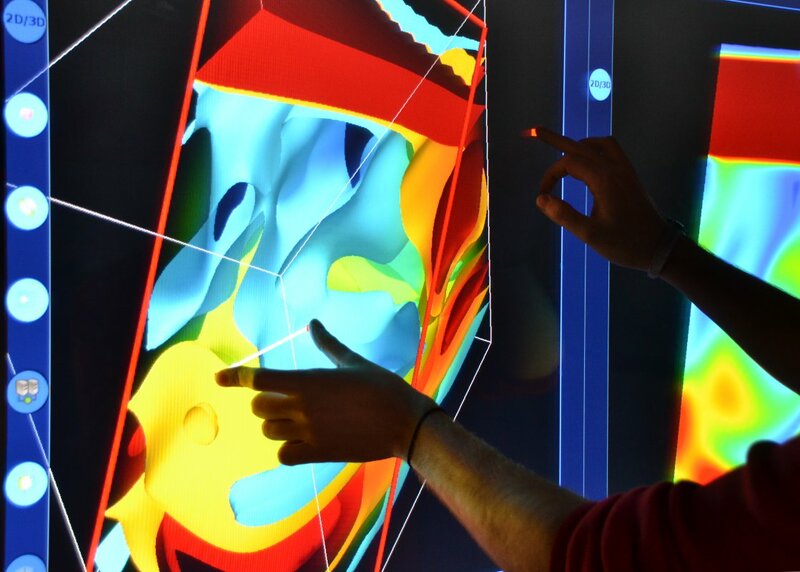 The final interaction design supports navigation/zoom, cutting plane interaction, a drilling exploration, the placement of seed particles in 3D space, and the exploration of temporal data evolution. To ground our design, we conducted a requirements analysis and used a participatory design approach throughout development. We chose simulations in the field of fluid mechanics as our example domain and, in the paper, discuss our choice of techniques, their adaptation to our target domain, and discuss how they facilitate the necessary combination of visualization control and data exploration. We evaluated our resulting interactive data exploration system with seven fluid mechanics experts and report on their qualitative feedback. 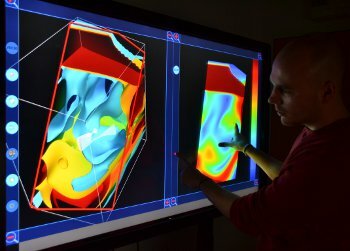 While we use flow visualization as our application domain, the developed techniques were designed with generalizability in mind and we discuss several implications of our work on further development of direct-touch data exploration techniques for scientific visualization in general. You can download a demo of the touch-based fluid flow visualization tool (for Win32, including an example dataset, 186MB) to try it out for yourself. 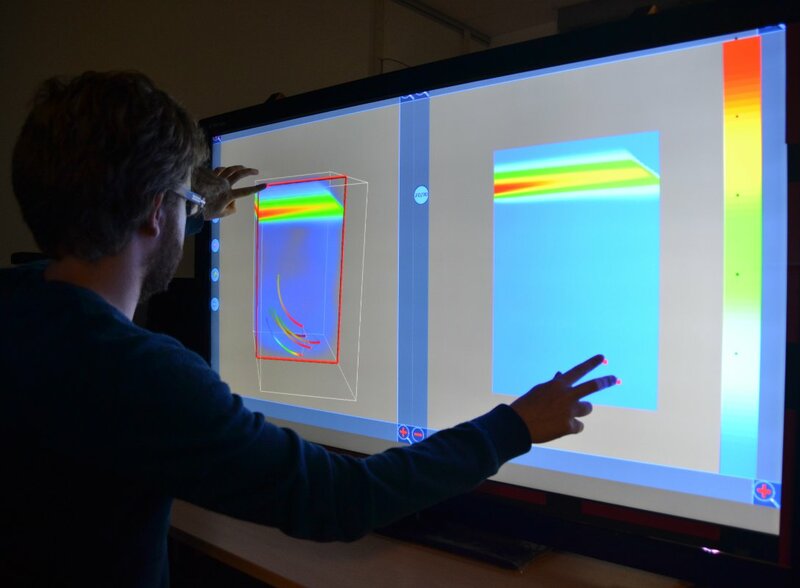 To be fully functional, however, the demo requires a TUIO-based touch surface. 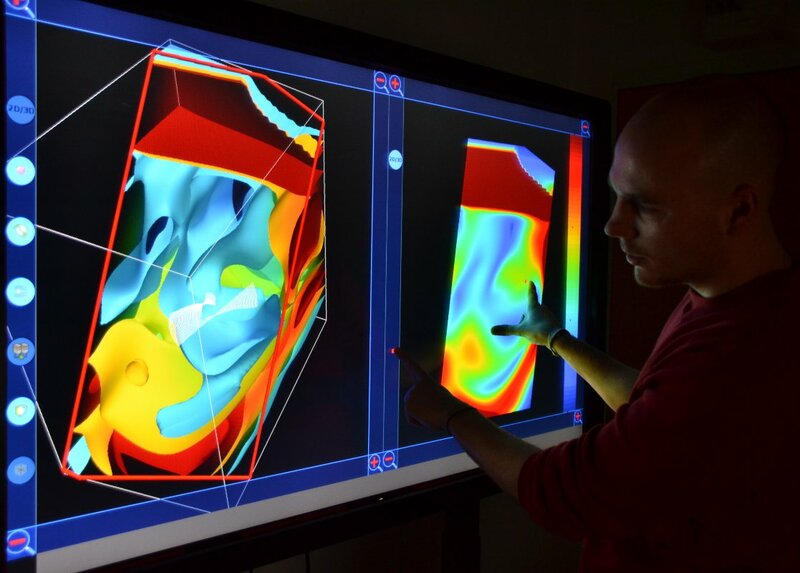 This work was done at the LIMSI lab at CNRS, France, in collaboration with the Université Paris-Sud, France, the Scientific Visualization and Computer Graphics Lab of the University of Groningen, the Netherlands, and the AVIZ project group of INRIA, France.